Friendly, healthy, sustainable, delicious, heart-warming and mouth-watering are just some of the words that come to mind when I think of Tiato. Recently I was invited to two separate events at Tiato restaurant and was blown away by tranquility of the eco-chic Leed-certified space, the fresh and succulent cuisine, and owner Catherine An’s profound dedication to excessively friendly and cordial service as well as to sustainability. Honestly, the passed Hors d’oeuvres were simply the best that I have ever tasted. The exquisite interior was personally designed by Ms. Catherine, who originally headed her the highly coveted catering business from her mother’s renowned restaurant Crustacean Beverly Hills. Ms. Catherine’s choice of high honeycomb ceilings, raw concrete floors, and reclaimed wood panels create one of the most soothing and serene ambiances I have ever experienced. Outside, the scenic garden is the largest outside dining space in Santa Monica and has ample room for weddings or any corporate events. 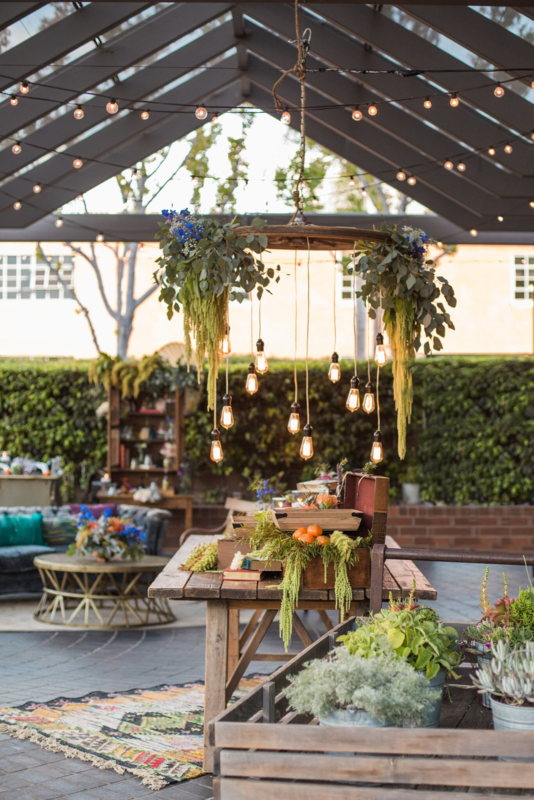 Because of the luscious foliage surrounding the patio, the serenity reminded me of a wedding I once attended in Napa Valley. Ms. Catherine’s signature herb-infused cocktails and famous AN family cuisine were truly spectacular at both events that I attended – especially the second event under the stars. Tiato is definitely the most beautiful event space in Los Angeles. In fact, I was so blown away by the catering menu that I went back for lunch. From the Vietnamese-Californian cuisine menu, I chose the Asian version of fish tacos and found them to be exquisite. Next I tried the ramen noodles and they were incredibly savory and flavorful. Actually, I was so smitten by the food at lunch that I went back for happy hour to experience the garlic fries while my friend had the mac ‘n cheese – both were extraordinary. Great food at reasonable prices is difficult to find on the West Side, but most importantly, the people at the bar were nice and friendly. I’m very glad that I discovered Tiato.